it has happened to us twice now, the late night phone call, the terrible news, the unexpected tragedy. thirteen years ago my husband and i were asleep in a hotel room in cartagena, colombia when we got the call that his brother, a 25 year old sheriff's deputy in florida, had been shot and killed in the line of duty. a little over a month ago, we got another unexpected call. my husbands incredibly healthy, fit and relatively young father had died out of the blue of a pulmonary embolism. there was no warning for either death. they were both shocking and awful and tragic. both of these experiences taught us a great deal. 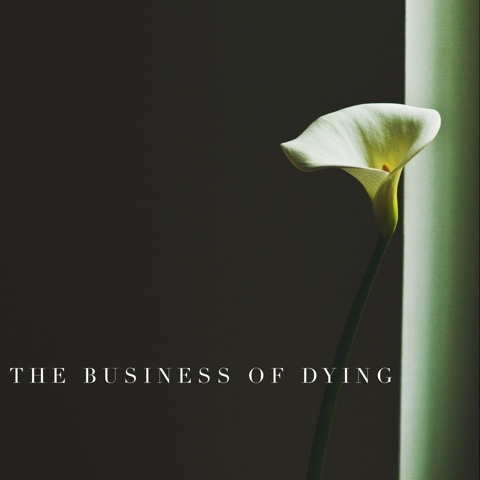 among those things is this: there is a great deal of business in dying. these are the all consuming tasks that fill up the days immediately after someone dies. these are the details and the phone calls and the decisions that have to be made. this is the work that is exhausting but still pulls you out of bed each morning to do it some more. it's daunting and horrible and difficult and i don't know a person out there who enjoys the process of it all. still, it is necessary. having done it twice unprepared and having seen others go through it even after watching someone suffer a long illness, there are certain things everyone...let me say that again...e.v.e.r.y.o.n.e. should do to help those left behind in the case of an unexpected or even expected death. you guys, do these things. it is so difficult to be on the survivor side of a death and it's even harder when you have to make decisions without knowing what the deceased would have wanted. do this for the people you love...it really will speak volumes of your love for them. or write a trust. or get something in writing. tell people where you want your things to go. make it official. sign it. notarize it. stop any bartering or questions before they start. if you have something special that you want to go to a specific person, don't just tell them in private. write it down. people are ruled by emotions after a death and they don't make logical decisions. they also won't remember or honor what you may or may not have said. just write it down. do it while you are young and check it every single year. something like this can help preserve family relationships. i never used to think this was important but i have been to several funerals now and i know now more than ever exactly what i don't want as well as what i do. i've seen so many things that are absolutely the opposite of what i would want for myself and i've learned that, more times than not, those planning the funerals are making emotional decisions and are not always thinking clearly. after my father-in-law's funeral, my husband and i sat down and made it clear for one another. should one of us ever pass away, the other one knows what to do. our next step is to put it in writing. make sure people know if you want a viewing, if you want a casket or to be cremated, if you want certain song sung at your funeral, if you want your ashes in a specific place, if you want to be buried, if you want a head stone. if you can plan it in advance, do it. yes, it's morbid and a horrible conversation to have. i hope we'll be around for a very long time. still, i don't want anyone guessing what i would want or spending money on something that is not needed. funerals are expensive. coffins are expensive. burial plots are expensive. always make sure there is an "in case of emergency" credit card or fund somewhere that can be used to pay for expenses. the last thing anyone wants is to have the wishes of a love one that they can't fulfill because they can't afford to pay for it. my husband has been doing this since the year his brother was killed. he has written a list of every life insurance policy we have, the account number, the password, the contact person, the amount in that policy and how soon i can get it. every bank account, every savings account, every retirement account, every ira, every single account that is in one of our names is written down completely with all pertinent information included. those files are updated annually and are kept locked up in case of emergency. a spare copy is left with another member of our family as well. my father-in-law had something similar though not in as much detail as what my husband has. it helped tremendously as we went through his files and attempted to secure funds for my mother-in-law and get her a budget of what she would have coming in and going out each month. do this for your loved ones. i cannot tell you how valuable it is. beyond just the facts, write down the whys. why did you pick that account? what are the benefits? answer questions someone might be asking. it makes a horrible situation just a little bit more tolerable. i can remember my sweet friend as she was dying of cancer. she left one weekend to go away by herself and write letters to her daughter, for her wedding day, for her graduation from high school, for her 16th birthday, for all the days she was going to miss. i can't imagine what writing those letters cost her. i also can't imagine how precious those letters will be for her daughter as she grows up and reads them. i'm not suggesting you do this exact thing...but take time to write letters to your loved ones. my husband tries to write a letter to each child on their birthday. one day he will give them the whole stack. in the meantime, he is collecting sweet letters to his kids. it's precious and meaningful and, when someone dies suddenly, sweet mementos like this mean everything. write some love letters to those you love. take pictures...with your kids, with your family, with your spouse. get out from behind the camera and jump in with those you love. frame pictures of yourself that you love. 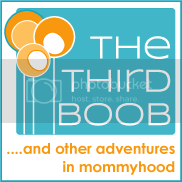 we had two very different experiences with my husband's family. his brother's funeral had a picture of his brother that we knew his brother disliked. he complained about that picture and how he never liked how he looked in it. still, it was the only picture we had to use for his funeral and so we used it. we always felt bad about that. with my father-in-law, we had a great picture to use. my husband's father was smiling and happy and looked like he could walk right out of the print. it was perfect. make sure there's a picture of you somewhere that you love. if the deaths in our families have taught us anything, it's that nothing is guaranteed. none of us know the day or the time we will leave this earth. whenever it is, i want my kids to know how much i love them. i want my husband to know he means the world to me. i want the people around me to know they are precious to me. that's the important thing. everything else is secondary. we could all use a reminder to simply love people well...no matter how long we are on this earth. everything else that falls into the business of dying is wrapped up in this. love people enough to help them walk through something if you can't be there in person to do it. walk them through it beforehand. there is so much love in that.